All the form fours in the country will be sitting for their physics Practical exam on Friday 29th October 2010. This follow the first two papers to be done on Thursday 28th October which are basically theory papers. 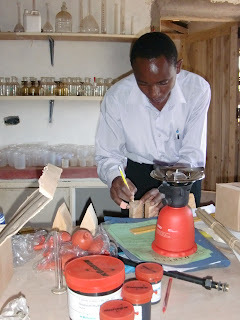 Below is the Physics teacher Francis doing prior preparation for the same.